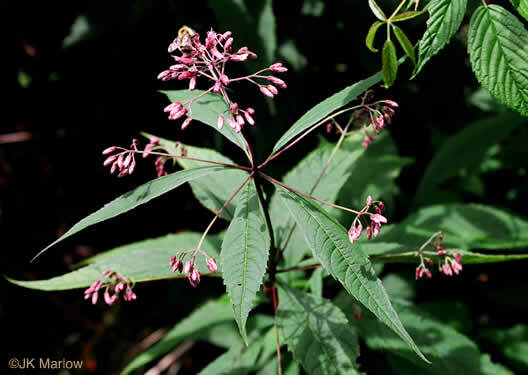 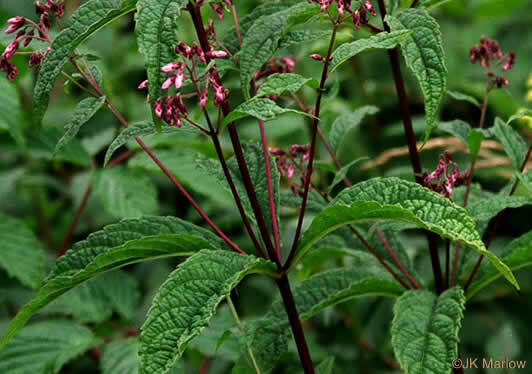 Your search found 10 image(s) of leaves of Joe Pye Weed species. 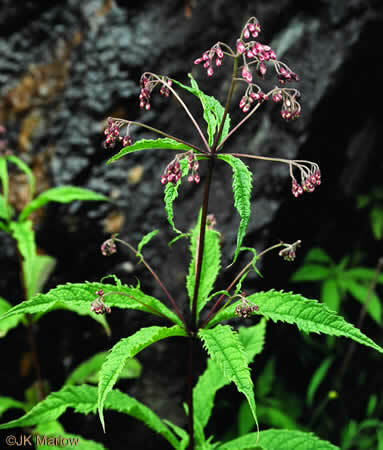 Sharp-toothed leaves in whorls of 4-5, per Wildflowers of the Southern Mountains. 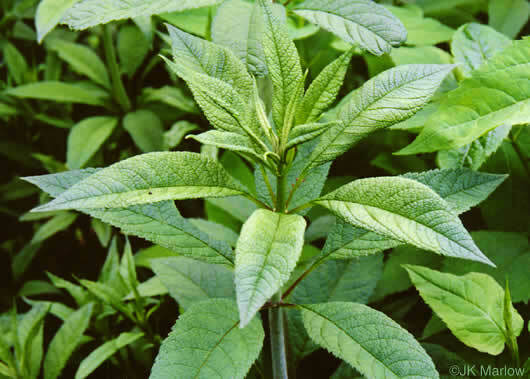 Leaves average 4-5 per whorl, per Weakley's Flora. 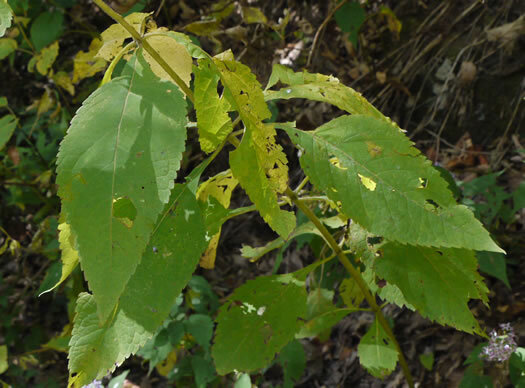 Leaves are thick, per Vascular Flora of the Carolinas. 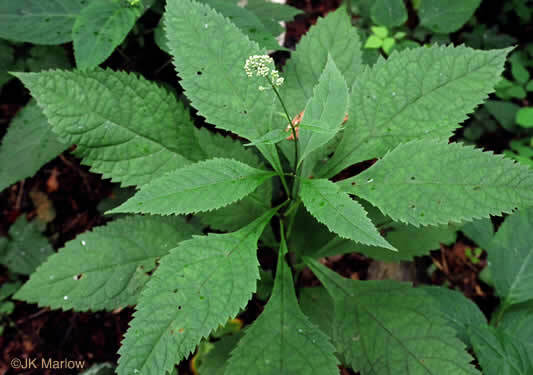 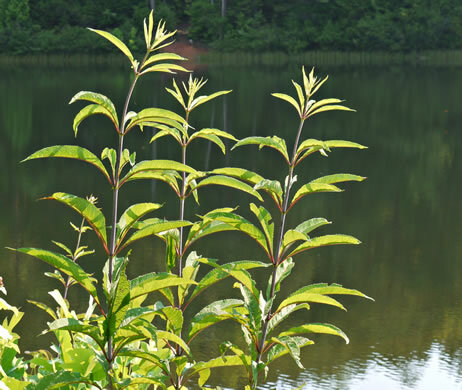 There are 3-4 leaves in each whorl, with sharp teeth, per Wildflowers of the Southern Mountains. 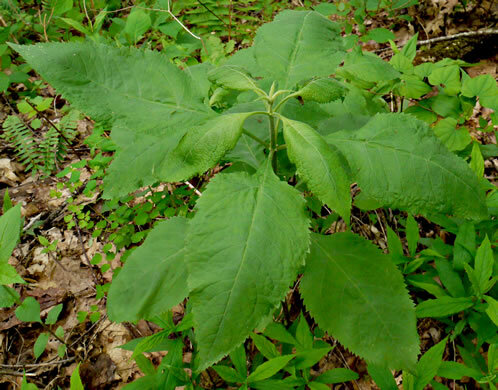 Leaves mostly 2.5-4x long as broad, in whorls that average 3-4 leaves each, per Weakley's Flora. 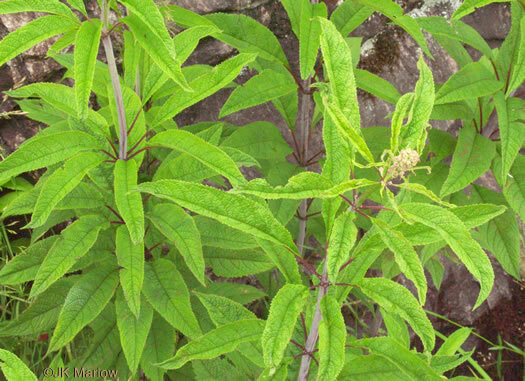 Leaves average 3-4 per whorl, per Weakley's Flora. 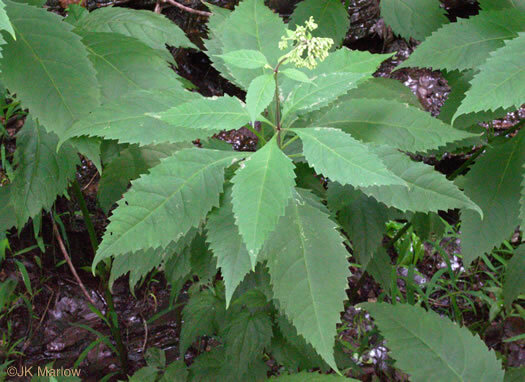 Leaves mostly 2-2.5x as long as wide, lower surface glandular-pubescent, per Weakley's Flora.